In the human body, two-dimensional structures do not exist. Cells are never present as single-cell entities, but are always surrounded by other cells, forming three-dimensional tissues and organs. In addition, they are embedded in a complex non-cellular structure known as the extracellular matrix. When considering this physiology, it is perhaps surprising that until the mid-90s, two-dimensional models were used in cell culture to analyze tumor cells. In 1996, Reynolds and colleagues showed that undifferentiated neural cells could be grown in suspension as neurospheres. Since then, numerous three-dimensional tumorsphere assays have been established, and tumorsphere cultivation is now widely used to study cancer cells, as well as to screen potential anticancer agents (Lee et al., 2015). Insights from such experiments are more translatable to conditions in patients than results from the conventional two-dimensional monolayer approach. Cells in three-dimensional culture also differ considerably in morphology, proliferation rate, differentiation, apoptosis and gene expression from adherent cells. In fact, cells that are capable of shaping tumorspheres build a “home” for cancer cells, and, in particular, for cancer stem cells (CSCs). A tumor consists of various cell types. The most dangerous cells are cancer stem cells, as they are suspected of leading to metastasis and recurrence after treatment. View our poster, and find out how to cultivate such cells with a more physiological culture model in vitro. About twenty years ago, cancer stem cells were first described by researchers, who discovered that only a subset of leukemia cells could initiate this disease (Bonnet et al., 1997). Since then, this field of research has grown, and CSCs have been identified in various types of solid tumors, including those in the brain, breast, colon, head and neck, liver and lung (Lee et al., 2015). Now CSCs are considered to be the primary cause of cancer recurrence, as they are highly resistant to current chemotherapy and radiotherapy regimens. This is why they represent a key target for successful cancer treatment (Maccali, et al., 2015), and their elimination could lead to permanent remissions, or could potentially even cure the disease. 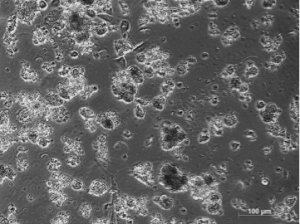 Example of a tumorsphere culture of HT1080 fibrosarcoma cells: A robust tumorsphere formation can be observed in the HT1080 cancer cells cultured with the 3D Tumorsphere Medium XF (picture from PromoCell after 10 serial passages). 3D cell culture tested cell lines: The table shows cell types successfully tested for serial passages with the 3D Tumorsphere Medium XF. The greatest obstacle to studying cancer stem cells is the isolation and culture of sufficient numbers of cells. Characterization is also difficult, as CSCs are a highly heterogeneous cell population lacking specific markers. Solving these issues is the aim of the team led by Dr. Matilde E. Lleonart at Vall d’Hebron Research Institute (VHIR) in Barcelona, Spain. “At the moment, there are no specific markers for CSCs, so scientists routinely use the general characteristics that apply to all stem cells. We want to identify unique features that will help to better characterize CSCs,” she explains. 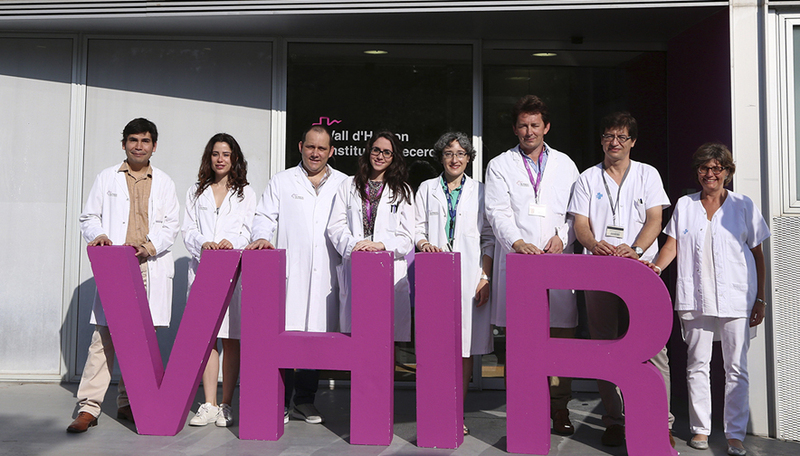 Dr. Matilde E. Lleonart (fourth from right) and her team from the Vall d’Hebron Research Institute in Barcelona grow tumorspheres from a single CSC, with the aim of finding new molecular markers. Picture kindly provided by Dr. Matilde E. Lleonart. “Our work involves creating in vitro models that resemble the in vivo situation as closely as possible. This allows us to study the molecular and phenotypical changes of CSCs under different conditions.” The team is using three-dimensional tumorsphere cultivation to enrich CSCs from bulk cancer cells. They are isolating and studying stem cells from breast, lung, and head and neck cancer, to better understand the cells’ implications in tumor biology. Three-dimensional models also provide valuable insights into the interactions between host and tumor. Researchers can better investigate the tumor microenvironment, which plays a significant role in cancer progression (Nath et al., 2016). Tumorsphere cultivation is based on culturing cancer cells onto an ultralow attachment surface in serum-free media (Lee et al., 2015). Researchers can use this technique mainly for two purposes, namely either for enriching cancer stem cells or for isolating primary cells from human tumor samples and maintain the cancer cell heterogeneity. Both approaches use the advantage of the 3D structures to build up a more physiological microenvironment. Whereas Lleonart pursues the first goal using the PromoCell 3D Tumorsphere Medium XF, Julia Schnappinger, a postgraduate researcher at the Immunoanalytics Core Facility of Helmholtz Zentrum in Munich (German Research Center for Environmental Health) wants to maintain the different cancer cell populations including the CSCs with the Primary Cancer Culture System. 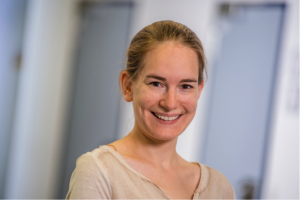 Julia Schnappinger at Helmholtz Zentrum in Munich (German Research Center for Environmental Health) obtains tumorsphere-forming cultures from renal cell carcinoma. She investigates antitumor immune reactions. Picture kindly provided by Julia Schnappinger. The PromoCell Primary Cancer Culture System offers a defined and animal component-free system for the isolation and culture of human primary tumor cells. “It was difficult to keep tumorspheroids in culture for longer periods of time with ‘home-made’ conditioned media, but we encountered no problems when using the PromoCell system. Here we could culture tumorspheroids from tumor cell lines, as well as from patients’ samples, for as long as three months,” remarks Schnappinger. Her experience is summarized in the blog article about the new culture system that selectively supports the long-term growth of malignant cells derived from primary tumor tissues in vitro. Although using three-dimensional cultivation presents significant advantages, working with tumorspheres can be tricky when using fresh primary cells or tissues. “Compared to monolayer cultures, it is sometimes difficult to find the right moment for splitting the spheroids. You need lots of experience. If you do this too late, the cells will start dying,” Schnappinger adds. Similar observations are reported by Lleonart: “It is more difficult to establish 3D cultures than monolayers, although it is somewhat easier when you are working with cell lines. When working with primary cells, the size of the biopsies is crucial. Cancer cells showing a tumorsphere-forming growth pattern on day 13 of culture. Picture kindly provided by Julia Schnappinger. If the samples are too small, it is almost impossible to establish tumorspheres, as they usually contain lots of debris.” Both scientists obtained significantly better results with the PromoCell 3D Tumorsphere Medium XF and the Primary Cancer Culture System. “Phenotypically, we could not observe any differences between cells cultured with home-made media and cells cultured with the PromoCell Media. However, when we analyzed the expression of stem cells’ genes, the purity of the cancer stem cell population was higher when working with the 3D Tumorsphere Medium XF,” explains Lleonart. In conclusion, three-dimensional-tumorspheres build a “home” for cancer cells that are enriching and expanding tumor cells. Using 3D cultivation gives researchers new insights into cancer biology, and tumorspheres provide important resources for cancer studies. In a world where personalized therapy is becoming a realistic option for many cancer patients, tumorspheres could be precious resources for evaluating the efficacy of treatments prior to their use in patients (Cao et al., 2014). By investigating cancer cells in a biologically relevant in vitro model, researchers will better understand cancer, which ultimately could lead to new therapies. A tumor consists of various cell types. The most dangerous cells are cancer stem cells, as they are suspected of leading to metastasis and recurrence after treatment. View our poster, and find out how to cultivate such cells with a more physiological culture model in vitro. PromoCell introduces the next generation 3D Tumorsphere Medium. This medium has been designed to meet your requirements for the extended serial 3D tumorsphere culture. Our 3D Tumorsphere Medium supports the tumorsphere/mammosphere culture of the most commonly used cancer cell lines. PromoKine offers a range of 3D Cell Culture Matrix Kits, including Basement Membrane Extract (BME, animal-based), Alginate Hydrogel (plant-based), proprietary Duo-Matrix and Dry Scaffold (natural polymers, animal-free) to meet the needs and requirements of various research fields. Our 3D Culture Matrix Kits provide a standardized, yet user friendly and adaptable to high-throughput strategy for setting up spheroid/organoid formations, 3D cell cultures and pharmacological studies to screen and characterize compounds in a more natural 3D environment.